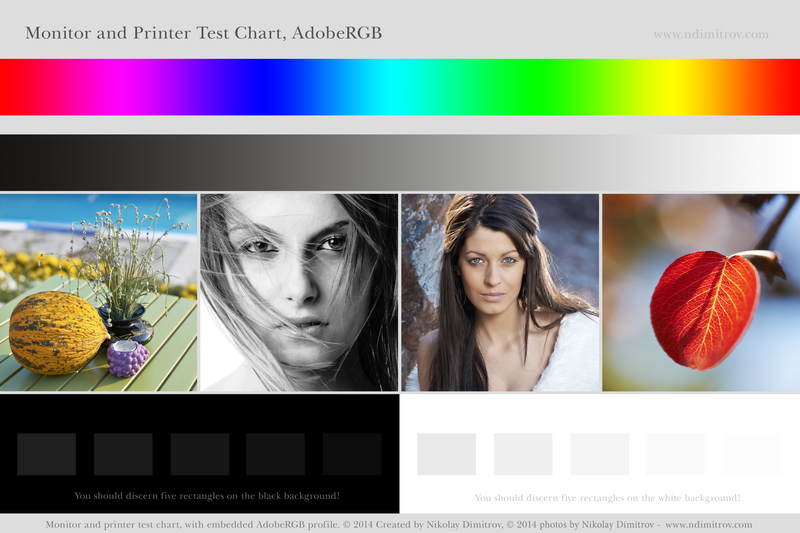 The new test chart is 1500×1000 pixels JPG file with embedded AdobeRGB color space profile. 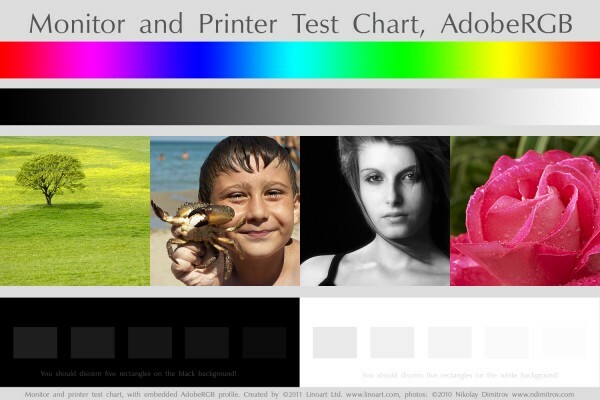 Some browsers do not understand color profiles, so the only reliable way to see the correct colors is to open the chart in Photoshop or some other software with proper color management. If you are using a browser that has not color management capabilities, you’ll most probably see some soft and desaturated colors. Click to open the test chart in a new window at full resolution! This is a small-size low-quality preview! Click to open in new window at full size! EDIT (March 2014): There is a new higher resolution chart available here.